Dhramshala is the centre of Tibetan exile in India. And since 2013, when I had the chance to teach english to some of the Tibetan refugees in the district, my admiration for their culture and specially for their wisdom has been exponential. 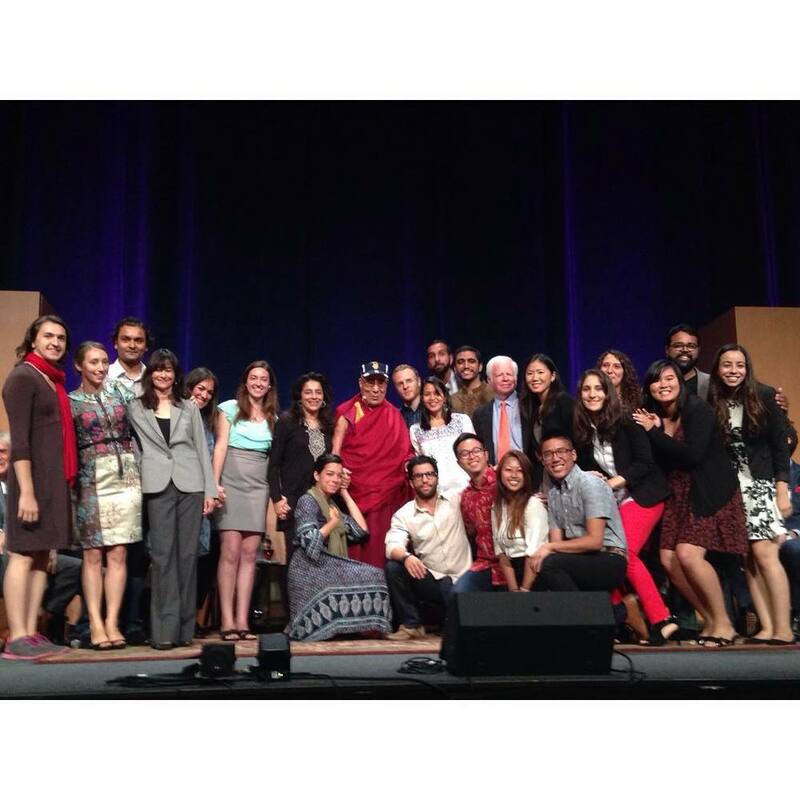 Thus, I couldn't have been more honored and excited when in 2014 I was awarded as a Dalai Lama Fellow, having the opportunity to deepen my leadership skills by merging social innovation with contemplative values, ethics, and compassion - lead by the lessons from the Dalai Lama's teaching. What I didn't expect was that one year later, I would be in Irvine, CA, joining His Holiness' 80th Birthday Celebration at the Global Compassion Summit. In essence, the Global Compassion Summit was a minuscule example of His Holiness’ life work.The summit took place over the course of three days, designed for the purpose of engaging in dialogue with the Dalai Lama, artists, politicians, academics, activists, and students. Panel discussions centered around diverse topics such as the transformative power of creativity and art and how to respond to climate change. One of the topics that caught my attention the most was about the importance of creating communities. We all know how communities have such a positive impact in individuals, but what we also need to realize is what whole systems such as businesses, educational institutions, government can learn and achieve if they interact as communities and generate more connections, dialogue and collaborations. The Dalai Lama and the Nobel Laureates that were present in the discussions also highlighted the power of youth and the importance of including their voices in those discussions. For me, that was a great affirmation of the significance of the work we are doing at International Connector and I feel tremendously inspired to keep engaging youth, businesses and global institutions in dialogs to generate meaningful solutions. But personally, the most exciting moment for me and my friends from the Dalai Lama Fellowship was the opportunity to receive His Holiness’ blessings on the last morning of the summit on stage. I'm so grateful for the Dalai Lama Fellows staff for designing such a wonderful program for youth leaders, and also very thankful for International Connector that first provided me with the opportunity to apply to this fellowship last year. It's been truly a transformative journey!